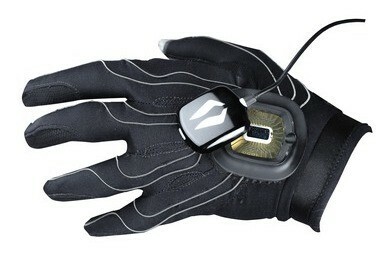 The singular Peregrine glove -- a wired elastic affair which allows you to configure 40 different combinations for gaming. When got tried one on, you may find that fast-paced games might not be the Peregrine's forte, but something like World of Warcraft could be a perfect pairing. The Peregrine, which runs $129, is available for pre-order now, which means that just about any day now we should start seeing these puppies in the wild. We can only hope!